These are called Disappearing Marshmallow Blondies because the marshmallows disappear when they baked. 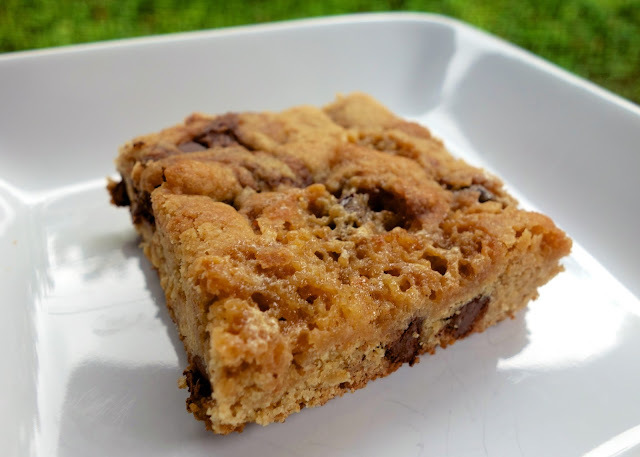 I would call them Disappearing Marshmallow Blondies because they disappear off the plate! 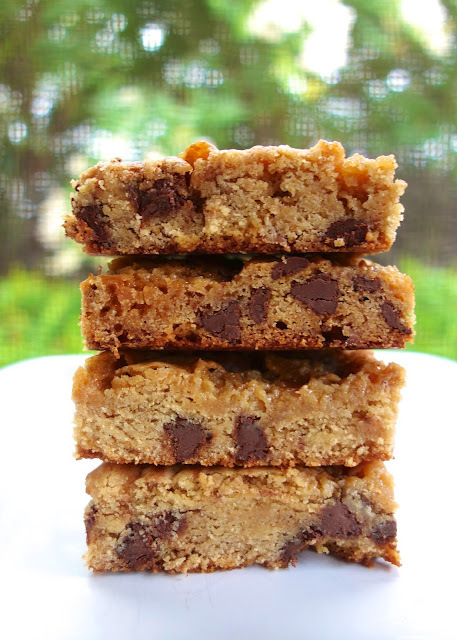 Have a glass of milk nearby, you are going to need it to wash these awesome blondies down! In a small saucepan, melt the peanut butter chips and butter together over low heat, stirring until smooth. Remove from heat and cool for 5-10 minutes. In a large bowl, combine brown sugar, eggs, and vanilla. Stir in the melted peanut butter chips. Add flour, baking powder, and salt. Stir until smooth. Stir in the marshmallows and chocolate chips. Spread the batter evenly into the prepared 9x13-inch baking pan. Bake for approximately 20 minutes. Cool and cut into squares. Janet - save me one! Is that self rising flour or plain? Mazo - I used all-purpose flour. Enjoy! Hi! Can you use other types of chips or leave them out altogether? cajetamom - sure! either way is fine. you can even add nuts. I made these and they were a HUGE hit. I see them in my tailgating future. WAR EAGLE! !